The Kowa TSN-AR66Z Adapter Ring for Smartphone Digiscoping Holders converts a spotting scope or one tube of a binocular into a powerful telephoto lens for use with a compatible smartphone. 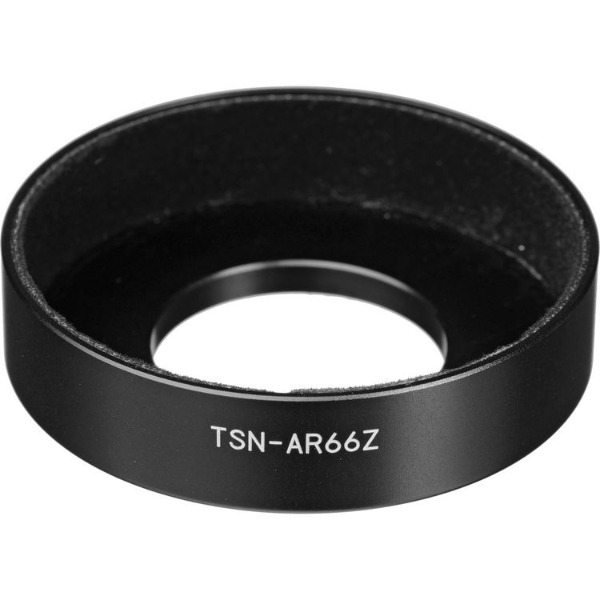 Simply screw this ring onto a compatible digiscoping phone case, then push the ring onto a compatible spotting scope or binocular eyepiece. The AR66Z is compatible with Kowa cases for iPhones and Samsung Galaxies.